in the Foreign and Political Department,Delhi. Dated 9th (Reed. 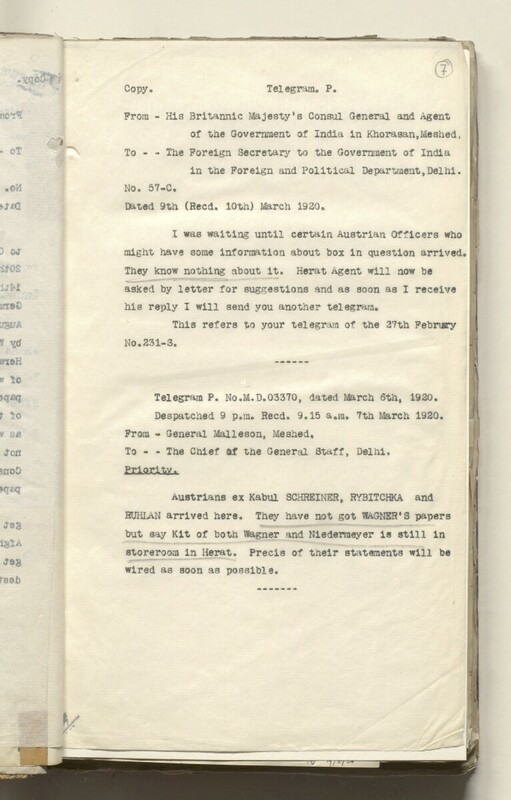 10th) March 1920.
might have some information about box in question arrived. his reply I will send you another telegram. Telegram P. No.M.D.03370, dated March 6th, 1920. Despatched 9 p.m. Reed. 9.15 a.m. 7th March 1920. To - - The Chief &f the General Staff, Delhi. wired as soon as possible.